We are currently on deputation. 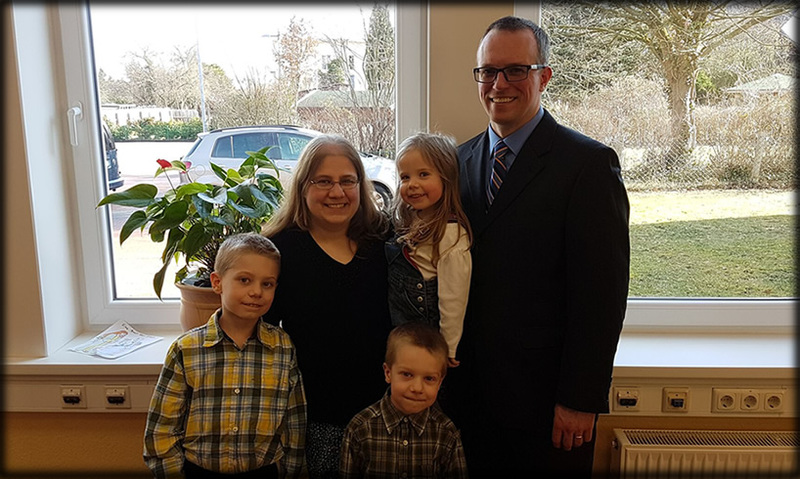 God has called us to Luechow, Germany, to work with a small, but established church there and to spread the Gospel throughout that corner of Germany. As in much of the rest of the world, one of the biggest needs in Germany is for men to take up the spiritual leadership and to be able and willing to serve as pastors. Germany has roughly 80 million residents. Most of them have never heard a clear gospel presentation. Germany can seem to be an impossible place to plant churches because Germans are usually slow to accept anything new. One study showed that the average German takes 2 1/2 years of consistently hearing the Gospel before they trust in Christ for eternal life. We know of a person who took five years and another who took seven before coming to Christ. Germany has been a haven country for refugees and has a significant immigrant population that also needs to be reached and can be used of God in their home countries. Though Lutheranism and Catholicism are still the main belief systems, most Germans are atheists, humanists and now, postmodernists who tolerate any belief as long as it is not proclaimed as absolute truth.